Being a creative event photographer takes a bit of extra planning and work, but when photographing Los Angeles events, it is critical that your clients are happy with the work. This means that we always have to find a way to shoot things beautifully, even when we don't have the space to do so. 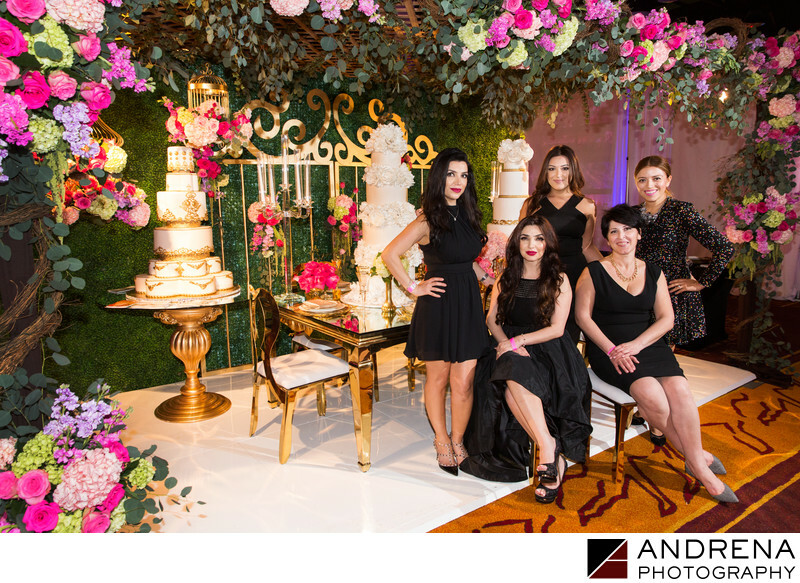 For this image of a production team at a floral and cake booth, we could only back up a few feet. We thus had to shoot from an angle. Using two chairs, we posted the production team members in a flattering way, then used two strobes to illuminate their faces and the booth. We took care to ensure that the flowers surrounded the outside of the image frame, which lent a lovely quality of elegance to the final photo. The event organizers were so happy, as was this production team, which had paid for a promotional booth at the event.